It doesn’t matter whether Tim Owen is hosting an intimate gathering of six of his closest friends or a bash for more than 100 people: There is more than enough room in his house. The spaciousness of the abode has nothing to do with square footage. What makes the place so roomy is an electronic system that removes an exterior wall from the house. With the wall out of the way, the outdoor patio becomes a natural extension of the great room, giving Tim’s guests plenty of room to mingle. Home theaters and home control systems are luxury items, so you need to budget accordingly. Here are a few financing tips. Although electronic systems can fulfill some very basic needs — security, comfort and convenience — they are still considered luxury items and are therefore priced that way. Here's what you need to know to guarantee an effective and productive electronics installation. Finding the right home systems installer for the job may seem like an overwhelming task, but it’s crucial to the well-being of your home. 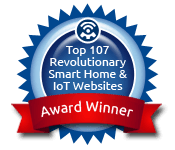 With the help of a knowledgeable and skilled installation firm, your house will be ready to handle the technologies available today as well as those that will be available in the future. 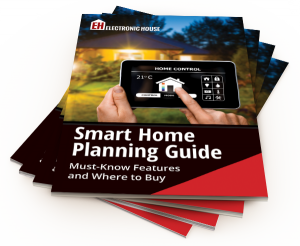 Homebuilders, electronic stores and directories can all guide you toward a custom electronics installer.